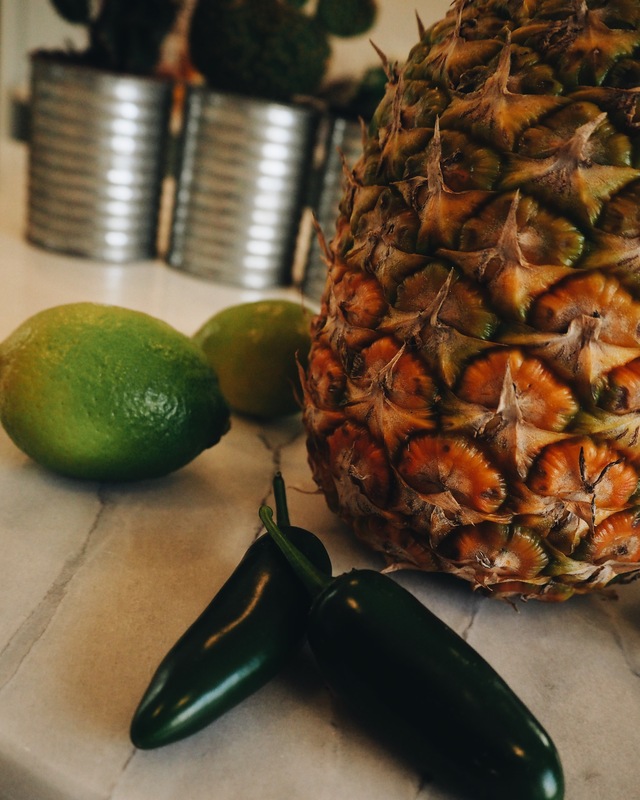 This mocktail is the perfect accompaniment to any Mexican inspired fiesta. This came from a recipe from Living Sober’s Drink of the Week section. I like my flavours big and bold though, so I’ve dialled up the chili and it packs a bit more of a punch. 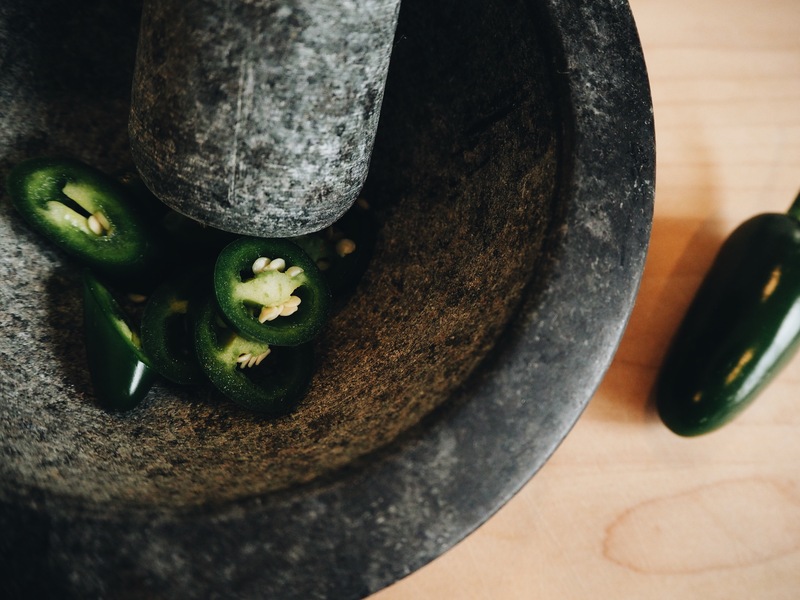 Slice up the jalapeno and give it a good bash in a mortar and pestle (or with a rolling pin), before adding to a cocktail shaker. 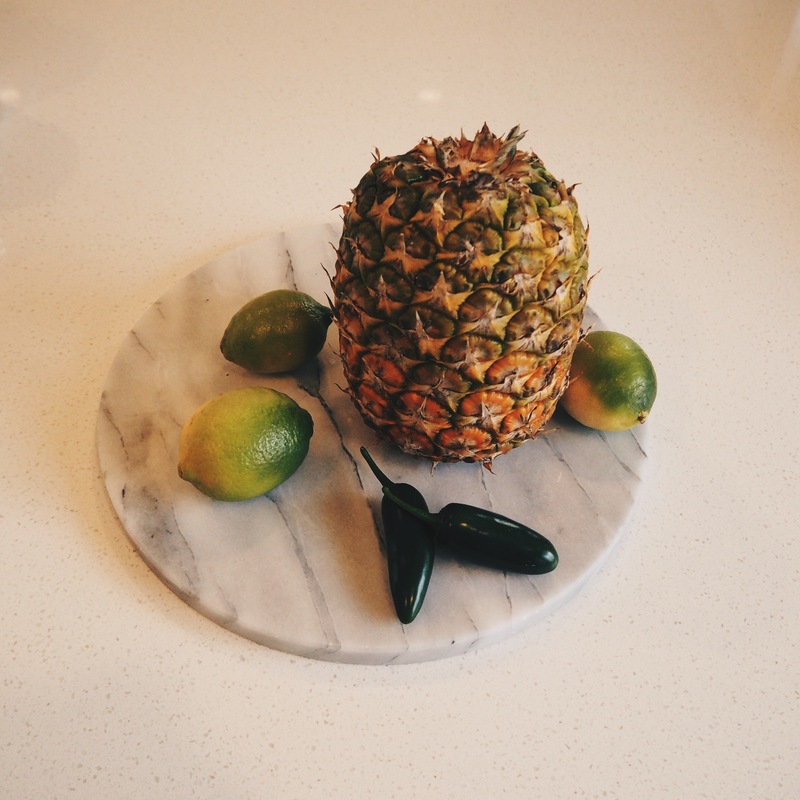 Add the pineapple and lime juice, and a handful or two of ice. 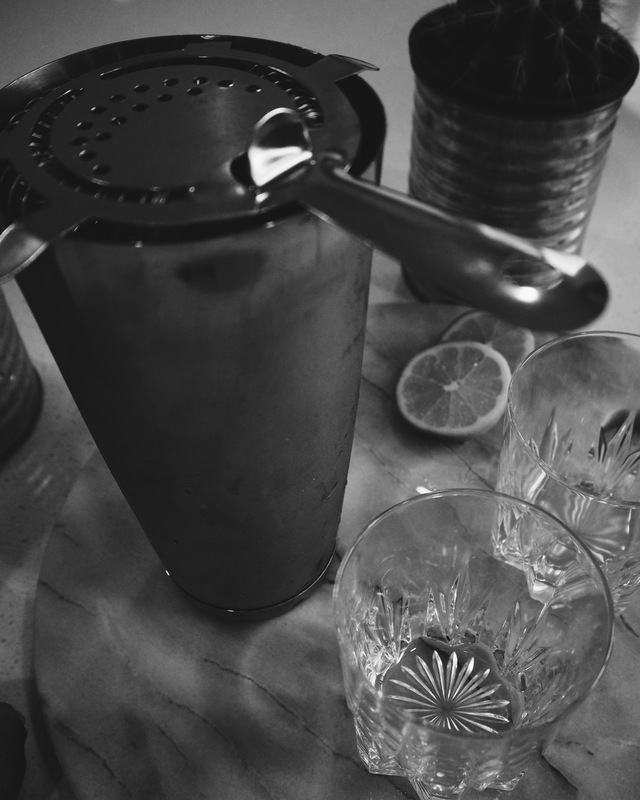 Shake until icy cold and strain into glasses. 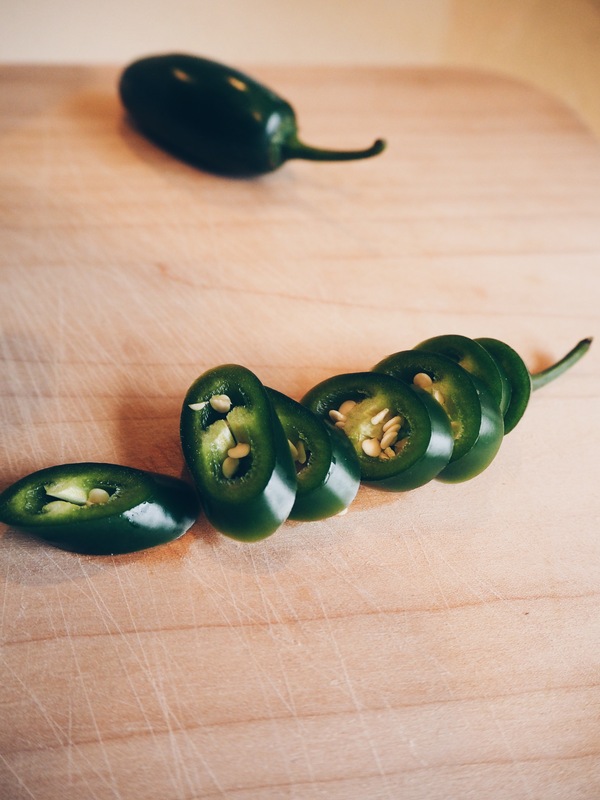 Make sure you strain out any chili seeds. 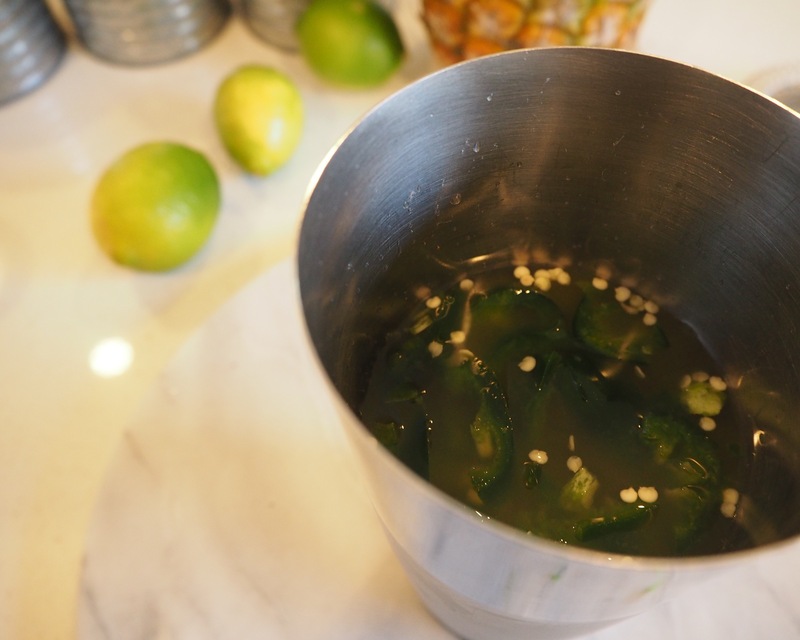 Garnish with jalapeno and lime slices. Fresh, spicy, icy, firey goodness. Perfect with a big bowl of guac!